I stop after filling my two buckets to thank you, and you, and you. drip, drip, like rapid heartbeats. in communion with each other. needs nourishment or, (dare I say?) comfort. on breakfast pancakes or ice cream after dinner? but stop! Wonder at the foot of the source! rising each spring, whether or not we’re listening. and listen before it’s too late. When did you last stop in Nature to listen? What did you hear? 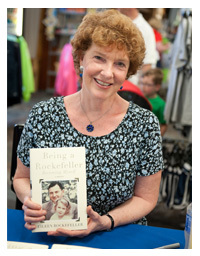 This entry was posted in Eileen's Armchair and tagged abundance, climate change, energy, nature, Paul, Spring, synchronicity. Bookmark the permalink. Beautiful. Thank you. And thanks for the shot of Paul in all his happiness! So beautiful and thought provoking. Life takes us away from the natural world out there. Time to pause. watch spring unfold and be in these moments. They pass so quickly. 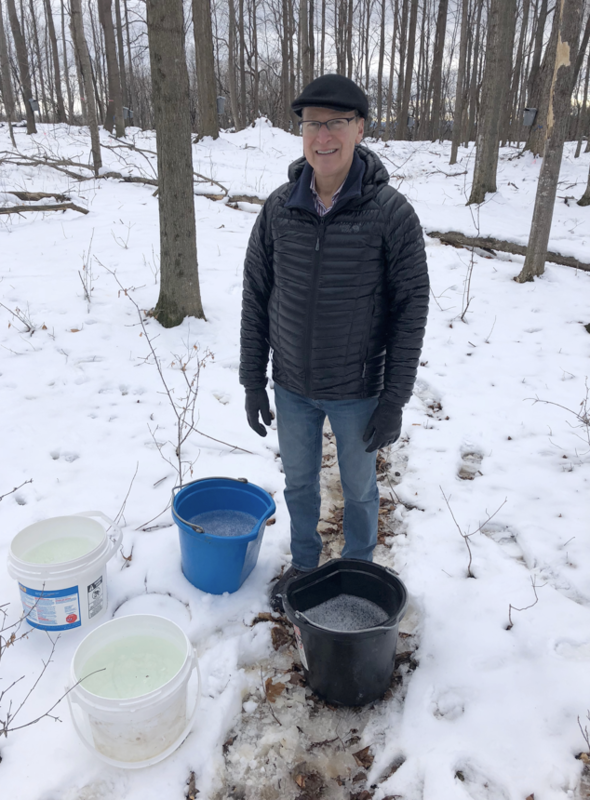 It gave me such joy to see Paul on this run to collect the sap in the forest — the very first step in making the real maple syrup that has become so hard to find in our world of today! Eileen, your poem was beautiful, seemingly rising from your heart . . .and reminding us to once again of the wonders of nature that are right outside our homes. Already the birds have arrived on my deck, used to the seeds we provide . . . and the footsteps of deer in the snow that still remains are reminders that the beauties of nature are that close — right outside our windows in early spring! Pieces of heaven — and high in my list of joys in my life! A wise and loving reminder of the awesome and breathtaking wisdom of nature. I have been blessed with a life long wonder and deep appreciation of nature guided by my 94-year old father. I pause to listen to the birdsong each morning, to look up with envy at the turkey vultures rising the thermals later in the day. I cherish watching the 3 different deciduous in my garden, as they come to life at different times during Springtime – first the bright pink cherry blossom in mid-February which falls and gives birth to the rich red leaves which linger until October to provide beautiful shade. The bright virgin-green leaves are budding magically on my stunningly elegant Chinese Elm, now in mid April, and following behind are those of the crepe myrtles, awakening from the winter. The crows, mockingbirds and scrubjays can be heard and seen flying from tree to tree as they gather twigs and nesting materials in their beaks, busying themselves with the call to become parents again for another season. And as I drive or walk around my Valley home, I am happy to see the soft rolling hills covered with the soft green of spring. This morning, the mist-shrouded crescent moon greeted me good morning as I was up and out early to fly off to the tropical beauty of the Hawaiian islands. Observing nature keeps me present to and embracing the mystery of life and stirs a deep sadness within of the infinite ways we harm it. I pray that we will ALL awaken to and heed the great wisdom nature teaches us, before it is too late. Always love appreciating nature with you! This piece is beautiful Eileen. Snow and maple juice are two things that I have seen and read about but never experienced. The last time I was immersed in nature was a few months back. It was in the wild in a small town called Chegutu. It was beautiful and serene. The trees swaying with the gentle wind. My reflection is that nature is a giver, She gives without holding back her precious gifts, fruits to the wild animals, the birds, the insects and us. She is beautiful yet fragile and she must be protected. Your tribute is moving; you and Paul bring to mind Scott & Helen Nearing tapping maple syrup in Vermont. I want to sample. Here in North Carolina, this morning I woke to find it 33 degrees outside. No snow or ice on the ground, but we are waiting for spring.